ZAMBIA – Zambia’s maize production for 2017/18 will fall 34% to 2.39 million metric tonnes as compared to the previous year largely impacted by drought, according to Agriculture Minister Michael Katambo who based the report on a government survey. According to the minister, farmland under corn fell to 1.39 million hectares from 1.64 million hectares in the previous season while country held carry-over stocks of 844,244 tons as at May 1 and will have sufficient corn for both human and industrial use in 2018-19. The drought-hit Southern Africa is battling with fall armyworms, said to have ravaged thousands of hectares of maize crop, all factors sending food prices on a rise. Even as the region recovers from the drought, their effects brought prolonged fears of food shortages and inflation with prices of maize, a staple food, being about 50% above the five-year average in July 2017, reported FAO. In February 2017, FAO reported that Southern Africa was reeling from the effects of two consecutive years of El Niño-induced drought that affected over 40 million people, reduced food availability by 15% and caused a cereal deficit of 9 million tonnes. The pests are brown caterpillars first reported in west and central Africa at the start of 2016 and have spread into Burundi, Zambia, Zimbabwe and Malawi. Though maize was the most affected, other crops whose prospects for good harvest have been dampened by both drought and pests include sorghum, millet and wheat. “Dry spells have negatively affected the production of some crops in the country. In addition, we had reports of army worms and stalk borers attacking maize fields,” the ministry of agriculture said in a statement. Katambo also added that wheat output is seen falling by about 40% to nearly 114,500 tons, while soybean production could decline to 302,720 tons from 351,416 tons in the last season. To enhance maize production and ensure strategic reserves for maize in 2017, the Food Reserve Agency (FRA) said it was buying 500,000 metric tonnes of maize from farmers. 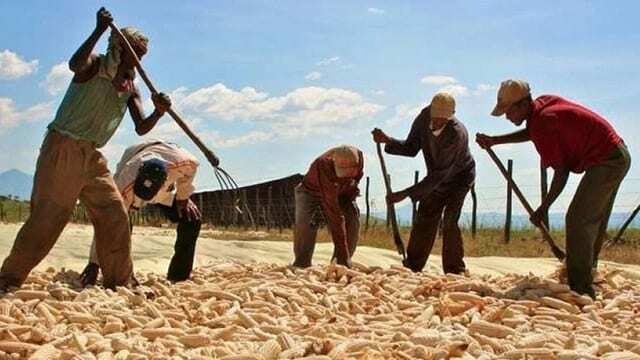 Maize export from Zambia has been difficult due to regulations and trading conditions put in place by the government to ensure enough reserves for local consumption, something stakeholders have railed against as having discouraged investments in the sector.